Online Medical Marijuana Doctors App Makes Life Better! ZenMD… A Medical Marijuana App Where Happiness Grows! ZenMD is a digital healthcare platform for the medical cannabis industry, servicing clients throughout the USA and Canada. Since 2016 patients from California received an amazing opportunity to speak to many licensed doctors thru our user-friendly application. As off 2017, we are adding more states like New York, Colorado, Washington, Florida, Nevada, Oregon, Arizona, New Mexico, Michigan and counties like Canada, Australia, Germany, Spain, Argentina, Colombia, Austria and many more. ZenMD’s medical marijuana app and online system allows patients to meet face-to-face with a licensed physician to discuss their medical condition using their smart phone or device. This allows a way to receive and renew their Medical Marijuana Card from any location. Patients can also access ZenMD on a computer using a browser and a webcam. ZenMD’s technology and services have been purpose-built with safety, security and well being as a priority. Confidential information is kept completely private. Software is HIPAA certified, meeting and exceeding security standards set for data transmission, encryption and storage of patient medical records. ZenMD offers 24/7 online medical marijuana card legitimacy verification to all customers. Up to date 420 doctors recommendation as well as record of consultation are preserved to ensure compliance with medical marijuana laws. ZenMD is powered by Verification 420, a patient verification system uniting patients and doctors since 2007, with over 3 million recommendations issued to date. All ZenMD physicians are licensed in the country and sate providing telemedicine and have deep knowledge of medicinal marijuana. Licensed 420 doctors are able to administer written medical marijuana recommendations for qualifying medical conditions. Patients rate each visit for ongoing quality assurance. ZENMD APP – HOW DOES IT WORK? Patients are able to schedule by time, by doctor or choose to connect with one of the ZenMD doctors immediately. Scheduling is flexible, and patients may reschedule or cancel anytime. To confirm an appointment, payment details are entered electronically and securely. If a patient is not satisfied services or if they are not approved, the 420 evaluation is free. During a ZenMD video visit, mmj doctor appears on the video screen to guide the patient through a 15-minute evaluation session. If medically appropriate the doctor will approve a Medical Marijuana recommendation and card, which will be sent to the patient’s provided address within 1 – 3 business days, digital PDF version will be emailed right away. This medical marijuana recommendation will enable the patient to legally purchase marijuana from any licensed mmj dispensary in their state or for growing at home for personal need. Our founding team of doctors are passionate about MMJ and have been issuing recommendations for over 10 years. “Our team has worked hard to offer a system that is easy to use, affordable and verifiable 24/7. We teamed up with Verification 420, which is the industry leading verification system for mmj doctors and cannabis dispensaries. For over 6 years Verification 420 has issued millions of recommendations legally and securely.” – ZenMd team. You probably already know that you need a medical marijuana card before you can legally smoke cannabis. But are you aware how to get a medical marijuana card? Do you even know why you need it? You’ve heard from your friends about how great it is, but somehow the process of getting it yourself still seems difficult and confusing, maybe even tricky. And depending on who you talk to, it can be all of those things together, but it definitely doesn’t have to be so. With the right information and guidance, you can become the happy owner of a medical cannabis recommendation sooner than you think. In this article, we will research how to become a legal medical cannabis patient and get a medical marijuana card. Is It A MMJ Recommendation Or A MMJ Card? After medical marijuana was legalized in California through Prop 215 in 1996, physicians have provided patients with access to the marijuana`s healing properties by recommending it for medical use. It’s “recommended” because physicians aren’t legally allowed to “prescribe” cannabis as long as it is illegal under federal law. Does not matter how you call it: pot license, medical marijuana card, weed card, prescription or recommendation, MMID or MMP, what you are really getting is a physician’s consent to use medical marijuana as a treatment for your condition or symptoms. Medical marijuana dispensaries in California are required to accept that mmj recommendation in written letter format or digital copy. It should contain date, patient ID number, your name, expiration date, a physician’s signature and a way to certify its authenticity either by phone or online. You must renew your medical marijuana card each year. After registering with a marijuana club or dispensary for the first time, they will accept smaller picture ID card version of your mmj recommendation or a digital copy until it expires and you need to renew one. If you believe that cannabis can improve your quality of life, you should be able to try it. You can ask your primary physician if MMJ is right for you and to “prescribe” you a mmj card, but most people prefer a consultation with a licensed medical marijuana specialist, or “medical marijuana doctor” to get their cannabis card. These MMJ DOCTORS can be found in cities from San Francisco to Los Angeles and everywhere in between. Very often it is not always a pleasant experience to visit such clinics. In fact, often, such 420 evaluation centers are located in sketchy neighborhoods (especially if you are in Los Angeles). You often end up overpaying while being uninformed about how to start using medical marijuana a treatment. Thankfully to Medical Board of California, we can enjoy the best way to consult with a medical marijuana physician and get approved for medical marijuana card—online. It’s easy and safe, legal and confidential, according to the state’s telehealth laws. If you choose to get your medical marijuana card online, what can you expect? Imagine that you can sign up online and complete your MMJ Evaluation from any device that has access to Internet and video camera. The process is pretty much the same as at any regular doctor`s office when you will be asked to fill out a standard medical form, upload any medical records you may have. And don’t worry, your information is kept 100% private in accordance with HIPAA law and won’t be found on any public source. After your evaluation with a Medical Marijuana Doctor, you’ll be asked to choose between buying just a physician’s recommendation letter, or a wallet-sized medical marijuana photo ID card as well, which is convenient for returning visits to the same cannabis club. Most online medical marijuana doctors won’t charge you unless you’re approved! The MMJ evaluation itself often lasts about 5 minutes. It involves an easy video conversation about your current medical condition and how medical cannabis might help you to treat it. You will receive a digital copy of your mmj recommendation via email right after approval. Digital copy can be used at the same day. Keep in mind, some mmj clubs require the hard copy of recommendation letter. In 2-4 days later, you will receive your medical marijuana card in the mail. Yep, you have your medical marijuana card, and now you can safely visit any medical marijuana dispensaries in California. Q: Do I need to renew my medical marijuana card? A: Yes, you need to renew your mmj card every year. Q: What documents do I need to get a medical marijuana card online? A: Any document with your address in California/ID and a medical condition for which medical marijuana can be recommended. Q: Will my health insurance cover for my medical marijuana recommendation? A: As of today , NO, since cannabis is still is an illegal drug under federal law. 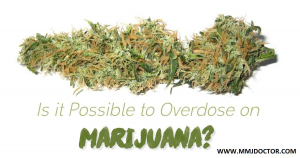 Q: What medical conditions qualify me for a medical marijuana card online? Q: Can I possess or grow with online medical marijuana card? A: MMJ patient can grow up to six mature and 12 immature marijuana plants for personal use, but a recent CA Supreme Court ruled that mmj patients can grow any number of plants so that their medical needs. Over 1.6 million patients in California have a medical marijuana card to use marijuana as medicine, and you can get one pretty easily too. Legally, you need a medical marijuana recommendation letter from a physician, but patients use different terms like “pot card” or “weed card” to describe the same thing. You can get a medical marijuana card by asking your primary care physician, visiting your local MMJ DOCTOR or online through a telehealth service online. So why are you waiting? Sign up online and get legal! IS IT SAFE TO RECEIVE A MEDICAL MARIJUANA CARD ONLINE? Rest at ease and order your Medical Marijuana Card from home… MMJ Cannabis Cure! These days, you can meet with a doctor, receive your medical marijuana card online and even have pot delivered to your door without leaving the comfort of your own home… But is it safe? I did the research for you and am happy to report that I have good news. The process is easy, safe and confidential! In this article I will outline the most common concerns with an explanation of what to be aware of so that you can rest at ease. RECEIVING YOUR MEDICAL CARD ONLINE IS AS EASY AS PIE! The actual online process is easy breezy. First, you sign up and schedule an appointment with a licensed doctor. Sites such as ZenMD.net allow you to connect with a doctor immediately. Next, you fill out a medical form and attend your scheduled appointment. If qualified, you receive a medical card in the mail within 1-2 business days. That’s it! I told you it was as easy as pie… easier actually! So, as it turns out, any licensed physician or osteopath can legally authorize the use of MMJ and recommend a medical marijuana card online. Once approved, you receive a ‘Doctor’s Recommendation’. This states that you have a medical condition qualifying you for the legal use of medical marijuana. With this document, you can legally purchase marijuana at a dispensary. Be sure to seek fully licensed physicians who are informed about the medical use of cannabis. Before selecting your doctor, do a little research. Read doctor reviews and ratings. It is good to be sure your physician has a deep knowledge of medicinal marijuana and is comfortable with recommending it as a treatment. TIP: Don’t forget to order your wallet sized ID Card! It is easy to carry and acceptable at most dispensaries. I do suggest that you carry a hard copy of your recommendation for your first visit to a new dispensary… just in case! Next, in order to be sure that your information is safe, check a few factors. Each system should be maintained by an encrypted, secure HIPAA* certified system. This ensures that your records are kept 100% confidential. Your information is completely private to you and the doctor you consult with. Calm down scaredy pants… By Law, doctor-patient confidentiality prohibits the police, DMV, health insurance companies and employers from accessing your medical records without your written permission. Phew! *HIPAA means that the system meets or exceed all federal requirements for protecting Patient Health Information (PHI) under the Health Insurance Portability Accountability Act of 1996 (HIPAA). Finally, some people who qualify for their medical card online choose not to pursue treatment because they fear they might end up on some sort of a “master list” of marijuana users. I am happy to inform you that no such list exists. Your patient status will remain confidential. No need to be paranoid. There is no consolidated database that the DEA uses to conduct raids or employers can access during background checks. To sum it all up, you can rest assured that it is safe, secure and confidential to order your medical card online. Go ahead and sit back and relax in the comfort of your own home. The process is simple and easy. With a little research you will safely be able to reap the many benefits and medicinal treatments marijuana has to offer. Go make yourself a pie! You deserve it.